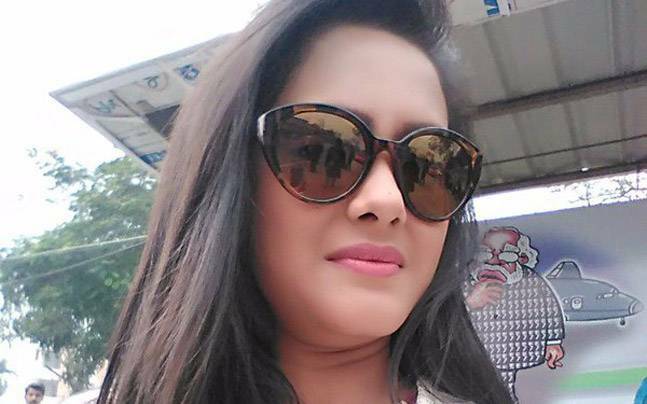 Police believe she committed suicide and have arrested her husband, Nisheeth Jha, on charges of abetment after Bidisha’s father accused him of having an extra-marital affair. Earlier the same evening, Bidisha’s father said she had called him to say that she would seek a divorce. Bidisha had moved to Gurgaon recently with Nisheeth and had joined advertising and PR agency Publicis Communications’ Udyog Vihar office just two weeks ago. Bidisha was an accounts executive. Nisheeth, who is originally from Gujarat, works for AFCONS India. They got married on April 28 last year. Police said Bidisha’s body was discovered around 7.30pm on Monday by a property dealer who broke into her flat (number 91) at Sushant Apartments in Sector 43, along with some neighbours, after Nisheeth got in touch with him when she did not respond to his phone calls. In his police complaint, Aswini said, <strong>”She was not happy in her marriage and things turned worse in the last few months. It was around 9pm on Monday when I received a call from the police that my daughter was found hanging in her flat.On the same day, she had called me around 5 pm and said she wanted a divorce</strong>. I asked her to be calm, but she refused to listen and disconnected the phone call, saying `let me take my own decision’. I immediately called up her husband in Mumbai, asking him to be with her, but he flatly refused. After a few hours, we got this unfortunate news.” Aswini said Bidisha had also told her mother Ranjita and brother Kaushik as well as some of her friends about Nisheeth’s affair. “We want severe punishment for her husband,” he said. 2. Marriage Of Bidisha on the 28th April 2016. 3. Phone Call by Bidisha to her Father at 17.00 hrs. 17th July 2017 and informed that she wanted a divorce. 4.Bidisha spouse had an extra marital affair. Rahu and Ketu in Forward Motion , Rahu in Gandantha and aspected by Fallen Saturn from Lagna. Leo and Scorpio Signs Dagdha and since Rahu and Saturn are placed in Dagdha Rashis they acquire most malefic State , more so Saturn at the Lagna Degrees. Day Lord Moon is also ill placed from Karka for Spouse for women Jupiter. Since Saturn is Retrograde and ceases to be a Char Karka, Rahu is the Dara Karka asper Tamil Texts and Stronger then Venus . When Rahu is Stronger than Venus it spoils the Marriage . In Navamsha Navamsha of the Gulika Lord Mars aspects the Lagna and Saturn again and Moon with Gulika Lord Venus in Navamsha make a perfect combinations for Death. As Per Mook Prashna the Stronger of the Lagna Lord Mars and the 11th Lord Mercury is Mars and counting upto Moon is the 10 house and in the 10th from the Lagna the Dara Karka and Up Karka for Marriage is Placed and aspected by Fallen Saturn. Rahu here is in most malefic and Afflicted condition as mentioned above and clearly shows that the native was suffering due to Acute Disturbed Marital Relations . Placement of Moon in the 6th house and having Exchange with Mars Combusted and Debilitated further indicates it is Basically because of her Spouse . Moon Debilitates in the Sign Scorpio and is the Lagna of the Chart hence the Marital Disturbed relation are due to a Female having Extra Marital Relations with her Spouse . Moon and Venus connected to Malefics Male Losses his first wife and the same is applicable here . Venus in the 7th House aspected by Malefic Saturn the Spouse of the Girl is immoral. Since the Lagna and Venus are in Fixed signs the Girl is not impure but due to Placement of Moon in movabale sign and Connected to Mars and Sun , shows she has intimacy with high personage , Moon and Mars in Movable signs are not good for Marital Queries and also for Girls. At the time of Call which the Girl made to he Father , the Lagna was Scorpio and in the last degrees of 28-29 hence the Death may have occurred at the time of the Lagna in Gandantha and Sagitarius Lagna . Sun, Mars and Mercury in the 8th house . ← ‘High Threat’ Earthquakes Looming Over US Supervolcano: What Stars Foretell ?